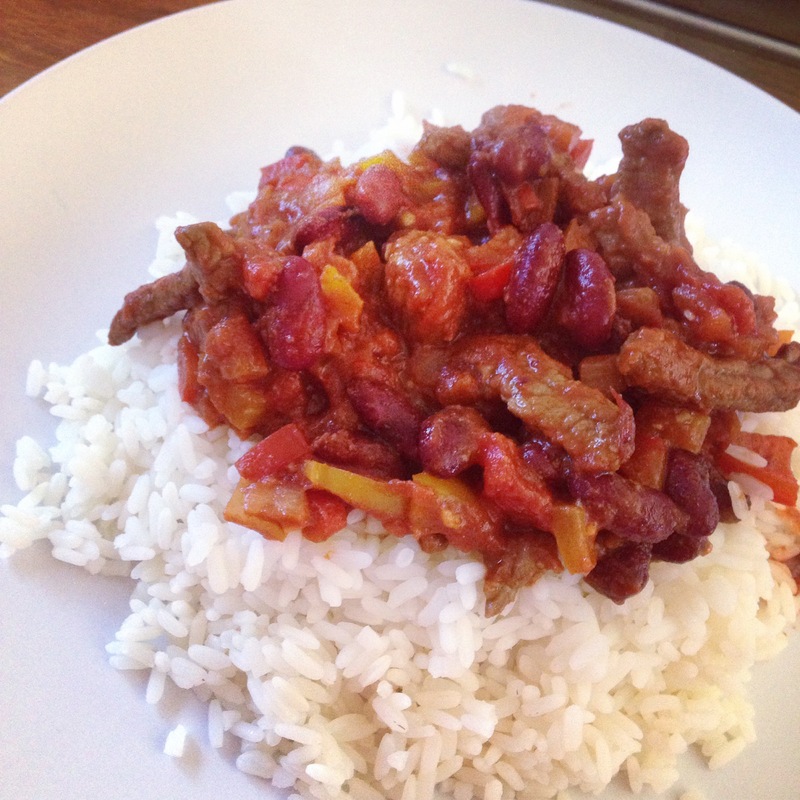 We loooove our chilli’s, but Hubby fancied trying our usual recipe using strips of beef to try and copy his favourite Mexican meal of “Chile Rojo” Thankfully it is not quite as hot as that 🙂 The spices are based on a mild recipe so if you fancy it a bit hotter just had a bit more hot chilli powder :). 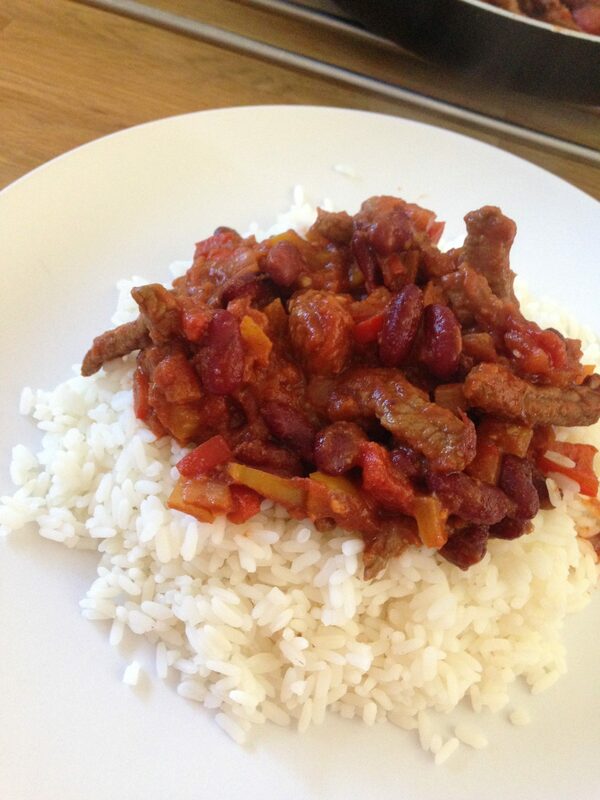 All syn free… add as much rice as you feel you need.. hubby and i usually have approx 55g each for a hearty serving. Heat a frying pan with a few spritz’s of frylight. Finely chop peppers and onion and fry until soft. Meanwhile use a knife (or i prefer to use sharp kitchen scissors) to cut the steak into very tiny strips, add this to the pan and fry for a few minutes. Add all spices, mix together and then add the chopped tomatoes. Allow to simmer for 2 or 3 minutes before adding the passata. Simmer (do not boil) on a low heat for 15 – 20 minutes and serve over rice. Recipe Created by Fatgirlskinny. Please do not use or recreate this recipe without prior permission. Do you need some support? Are you lacking in inspiration? Join our Facebook page to make new Slimming World friends. can this be frozen so I can take it for lunch?